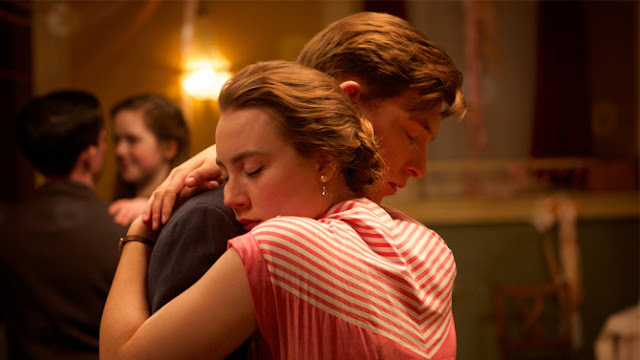 If you’re waiting for the lush and romantic Brooklyn, here’s a swoony short clip that highlight’s Ellis’ dilemma, the choice between the home town boy played by Domhnall Gleeson, or the young Brooklyn-born Tony of Italian heritage, played by Emory Cohen. Domhnall Gleeson’s character isn’t making that choice easy as he sweeps her off her feet. Scripted by Nick Hornby, based on the book by Colm Toibin, Brooklyn stars Saoirse Ronan and opens here in the US on November 4th, followed by the UK and Ireland on the 6th.